EconomicPolicyJournal.com: What if Hitler Had FedCoin? What if Hitler Had FedCoin? The more I think about crypto, the more I get scared about our future. On the one hand, cryptocurrency seems like a libertarian dream. The technology allows transacting money — or anything of value — over the Internet without any third parties involved. Crypto is all about empowering individuals. Projects like Bitcoin are open source, permissionless, borderless, censorship-resistant and beyond the control of anyone. They put the existence of banks into question and hint at a world of radical self-governance. On the other hand, cryptocurrencies could also be used by governments to gain terrifying power over the population. More than they ever had in history. FedCoin: the idea of a centralized cryptocurrency built by a government and meant to replace its currency. Since Bitcoin, the most important innovation in crypto is arguably the creation of Turing complete projects like Ethereum. These are like Bitcoin, but they add an important feature: they can perform any computation. Because these cryptocurrencies can run computer code, it’s possible to build and distribute applications on them. These are called smart contracts, and they are absolutely revolutionary. In short, they allow us to program money. Imagine a world where the US government replaces the dollar with FedCoin. Then, they program the entire tax code directly into the money. In this world, every time you get paid or spend money, taxes are automatically deducted from the transaction. You no longer need to hire an accountant at the end of the year. Everything is calculated in real time through smart contracts. Crypto could make accountants as irrelevant as self-driving cars will make bus and cab drivers irrelevant. Think of all the wasted time this could save. US citizens spend about 6.1 billion hours per year dealing with taxes, leading to about $233 billion in productivity loss. Automating taxes would save considerable time and money for you and me, and even more for businesses and the government itself. Beyond taxation, FedCoin could also automate the redistribution of money. Say a politician promises to invest 10% more money in education. Rather than those being just empty words, he could program it directly into the blockchain. Then, every time the government collects taxes, 10% would be automatically redirected to the Department of Education. With FedCoin, you would no longer need to trust politicians. You could trust the code itself. The same could go with any other distribution of money. Need to give a stimulus payment? No need to send physical checks tough the mail, and no need to worry about people fraudulently trying to steal the money. You could do the whole thing with a single line of code. 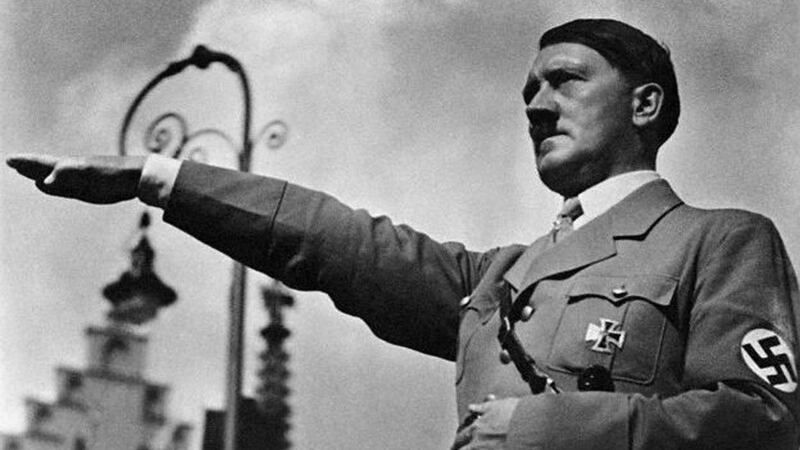 Hitler was anti-gold, but he actually tried to do something for his people. Sometimes I wonder if Hitler should have won. The only good thing Hitler did was putting a bullet through his brain. Looking at the world today I can't imagine how it would be worse if Hitler won. Possibly much better. From the end of the article: "As a society, we’ll need to decide how we want to use this new technology. Do we want a world where we have an open, global, decentralized, permission-less monetary system? A currency of the people, by the people, for the people. Or do we want a world where governments are in charge of digital money, with the potential for massive abuse and oppression down the road?" The government is currently in charge of non-digital money and engages in massive abuse and oppression. Focusing on a dual use tool is the wrong way to approach this; the author should focus on reducing or eliminating government, then we can worry less about the tools.